Are the Indian women cricketers ready to become world champions in the T20 format? T20 cricket is a game of chance, but India’s women have shown in recent past that they do have a vital ingredient to be successful in this format — firepower. Why, only yesterday India beat England in a warm-up match, with captain Harmanpreet Kaur smashing 62 off 32 balls, with six fours and three sixes. Last month, former captain Mithali Raj struck 105 off 61 balls in a T20 game against Australia A in Mumbai. India also possess the very attacking Smriti Mandhana — who could be key to India’s fortunes — and the teenaged Jemimah Rodrigues, an exciting prospect. The young Indian squad will be aiming to break away from a winless past when it launches its bid for a maiden Women’s World T20 title. The Indians have a tough game to begin with, against New Zealand, in the first standalone Women’s World T20. India have not been very competitive in the shortest format of the sport. Their 50-over achievements have been much better in recent times, with the team reaching the 50-over World Cup final last year. Captain Harmanpreet and coach Ramesh Powar insist that the team has learnt from the loss in the 50-over World Cup final. They say that the presence of several youngsters, including six World Cup debutants, makes the squad “fearless”. India have competed in five World T20 events, their best being semifinal appearances in 2009 and 2010. In the lead-up to this tournament, India have hit good form, beating Sri Lanka in their own backyard before blanking Australia A at home. Wins against reigning champions West Indies and England in the warm-up matches here in the West Indies would give them more confidence. Jemimah, Taniya Bhatia and Harmanpreet make up a strong middle-order. 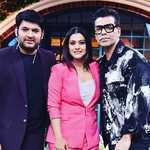 The spin department, led by leg-spinner Poonam Yadav, is India’s strength, though the pace department lacks in experience after the retirement of veteran Jhulan Goswami. Coach Ramesh Powar, a former India off-spinner, has high expectations of his team. “They know that if we grow as individuals, the team grows, the Indian women’s cricket grows, and people will start noticing the game in India and around the world,” Powar said. “When you enter such tournaments, you have to break records, get noticed as an individual and team also, so I’m looking forward to that,” he added. 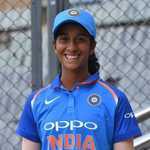 Wicketkeeper-batswoman Taniya Bhatia missed out on the 50-over World Cup last year, but she will make her World Cup debut at the World T20. 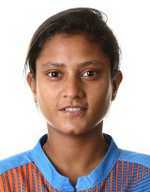 She has replaced a player from the region, Sushma Verma of Himachal Pradesh, in the Indian squad. Taniya is a student of MCM DAV College, Sector 36.